How NestAway grab its position in the crowded online rental marketplace? 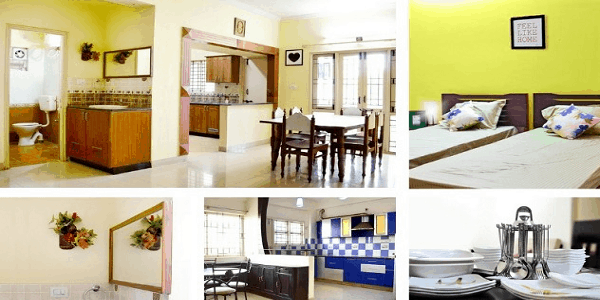 NestAway is a Bangalore based online managed home rental marketplace, which uses technology to provide better rental solutions to bachelors in the cities. It turns unfurnished houses into fully-furnished and managed apartments and provides them at affordable prices to pre-verified tenants. NestAway was founded in 2015 by a team of four graduates – Amarendra Sahu, Jitendra Jagadev, Smruti Parida and Deepak Dhar, NestAway was started as a platform for shared accommodation. In India, if you are single, it is hard to get a rented apartment/home in major cities such as Bangalore, Delhi and Mumbai. This is because real estate builders don’t trust bachelors, who they think booze and party hard late into the night, causing annoyance to neighbors. They have a haphazard lifestyle with untimely waking hours and unplanned schedules. Bachelors are not always welcome in residential areas without prior verification or recommendation. The Co- founder of NestAway, Amarendra Sahu faced a similar challenge when he was looking for a home after his graduation from IIM Bangalore being rejected by house owners. “My friends and I were looking for affordable rentals but we were denied accommodation just because we were singles. It was a bit odd. Indeed, housing is one of our basic needs, especially when you are a stranger in the city. We felt this is something an online platform can fix by being a neutral third-party, but surfacing more data on both parties as transparently and objectively as possible. We thought of giving it a shot,” says Sahu, who co-founded NestAway, an online marketplace for long-term rentals, along with his friends. This inspired them to come up with a solution – The Solution! And the result of that idea is NestAway.com. Why we choose NestAway as Startup of the Week? • For youth rental, NestAway turns Unbranded, unfurnished apartments to branded, furnished home. • Provide services like housecleaning, plumbing and free relocation to any Nestaway house across India. • There is no brokerage cost on finding accommodation and each tenant is verified before entering a contract. • Online rent payment and No maintenance hassles. • It sees over 100 per cent growth month-on-month. • Nestaway.com reaches approx. 10,155 unique users each day and that generate 30,465 daily page views. • A daily revenue (from advertisements) of $ 30 USD approximately. NestAway provides furniture like beds and mattresses along with a side table, pillow and bed cover, which it claims to change every week along with a monthly fittings and electric check up. Other than this, the company offers a sofa, dining table, DTH TV, WiFi, fridge, washing machine, induction cooktop and utensils. Users can chat with the company in case they require services like changing a bulb or their geysers don’t work, which they claim to service in 4 hours. They can also use the app to get food delivered, book a taxi or rent a book. The company also claims that its houses are insured for damage for up to Rs 5 lakh. Revenue for the company comes in the form of commission from the owner. It collects rent from the tenants and then passes the rent to the owner after deducting its commission. Nestaway had raised $1.25 million angel round of funding from IDG Ventures and InMobi founder Naveen Tewari. Earlier NestAway had raised $12 million in its Series B round of funding from Tiger Global and Flipkart. The startup aims to improve its technology platform and expand into more cities. Nestaway currently offers services only in a select Bangalore neighborhood, but plans to expand to other major tech-hubs, like Delhi (NCR) and Pune. “Migration to the city is a great opportunity. India is a youth story and it will see more and more young people coming to the cities in search of jobs, better education and better lifestyle, in the coming years. The rate of youth immigration to cities shall outpace the rate of housing supply growth. Such a high demand vs. constrained supply shall create a need for an efficient player who can clear the market on both sides. We see a million youth house with us over the next three years,” said, Amarendra Sahu, the Co- founder of NestAway.